Matteo Dal Maso was born in Turin (Italy); he studied and graduated with the highest honors at the Conservatory G.Verdi of Turin. He performs as a soloist and orchestral for important music societies as: "Teatro Regio" of Turin, "MiTo Settembre Musica", "Unione Musicale" and "De Sono". 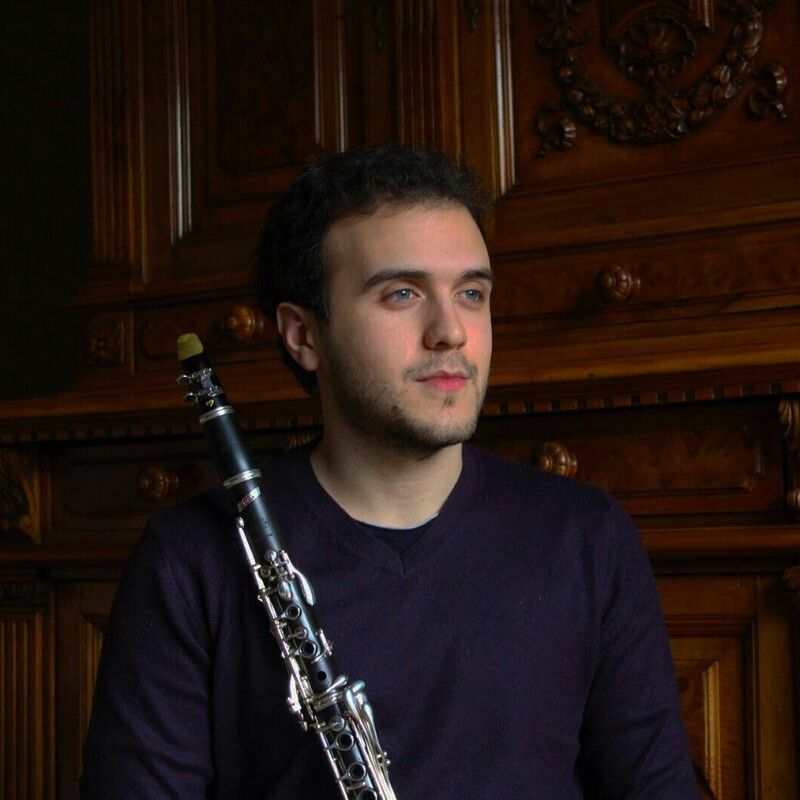 He was awarded in various competitions as: second prize at the "Concorso nazionale i nuovi talenti del Clarinetto" (Salerno), first prize at the "Concorso Musica Insieme" (Asti), second prize at the "Concorso Internazionale di strumentazione per banda Ruggero Leoncavallo" (Castellabate, SA), first prize at the "European Music Competition" (Moncalieri, TO), first prize at the 42° Concorso Nazionale per Chitarra e Musica da Camera "G.Ansaldi" (Roburent, CN - mention for the best not guitarist performer), second prize at the 6° Concorso Chitarristico Internazionale "A corde libere" (Musica da Camera - Favria, TO) and third prize (first and second not assigned) at the Concorso Internazionale di Composizione "Venice FluteFest" (sezione arrangiamenti - VENEZIA IT) .